Are you ready to hit the pool? We know where to find the best indoor swimming pools and water slides. 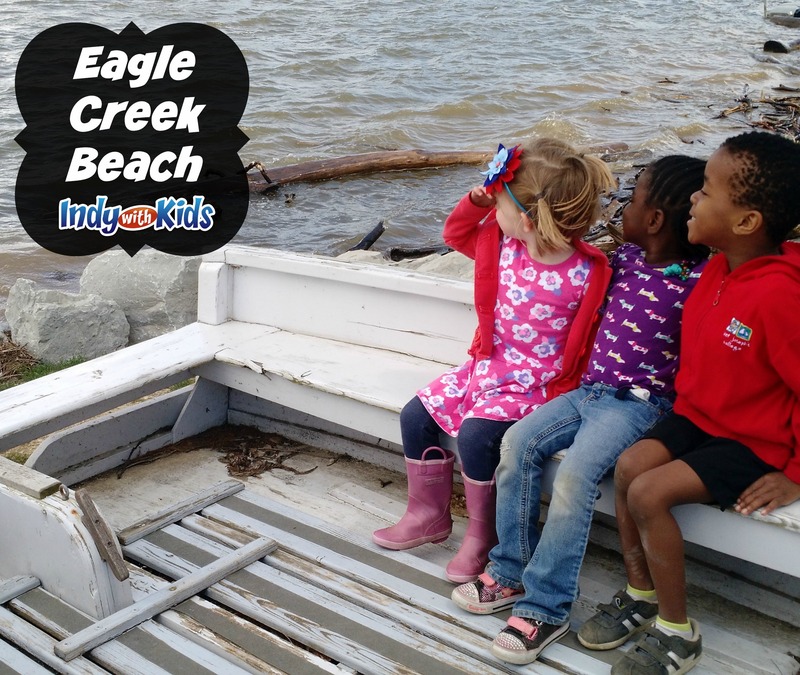 This oasis on the west side of Indy is a favorite of fun seeking families. During the summer months, be sure to visit again and enjoy the outdoor Splash Island Water Park. 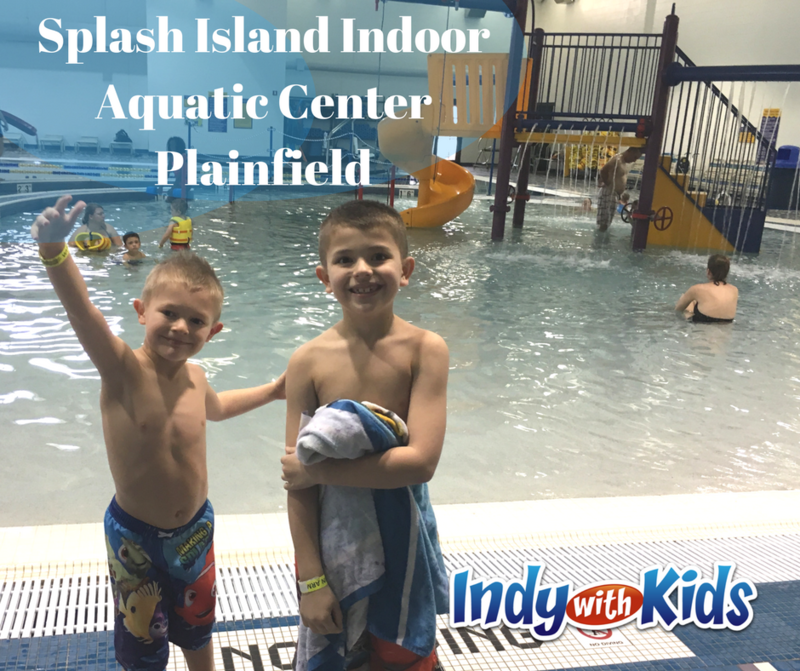 I visited the Splash Island Indoor Aquatic Center with my two boys, one who is a strong swimmer and one who has a serious hatred of getting his face wet. The zero-entry pool made it easy for both kids (and their pregnant mom) to get in the water. The shallow play area was perfect for my non-swimmer, and he even went down the slide a few times! My older swimmer enjoyed venturing over to the slightly deeper side (3’6”) and shooting hoops. He didn’t get a chance to try out the larger indoor slide, but it looks like lots of fun! The facilities at Splash Island are gorgeous and family-friendly. The water and temperature of the indoor swim area feels just like a summer day. The family locker room is clean and spacious, with a changing area. There are plenty of deck chairs inside the swim area, and tables just outside of it where you can enjoy a drink or a snack. The facilities are also incredibly safe. There were about four lifeguards on duty during our visit, and the monitored the water closely. There’s also a first aid station close by, that is fully equipped for any needs. Kids ages 7 and under are expected to be within arm’s length of an adult at all times. Swimming lessons are a great idea to help with water safety. Open swim times vary based on the aquatics schedule at the pool. There are times that the pool is closed to the public due to lessons or lap swimming. Check the website before you go! Admission prices vary based on your residency and whether you are a Plainfield Parks and Rec member. Check the website for a breakdown of charges. 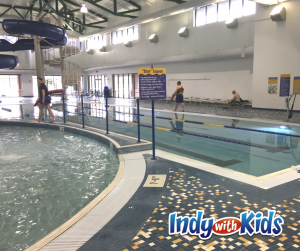 Find the Best Indoor Pools in Indianapolis. Also, the Best Indoor Waterslides.